Brian Hong is currently the Marketing Director for Namco Bandai Games. 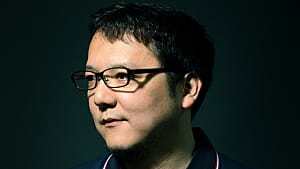 Brian has worked on titles such as, Dynasty Warriors Gundam 3, Armored Core 5, and even Dark Souls. I recently had an opportunity to ask Brian a few general questions starting with Dark Souls 2: Scholar of The First Sin which is coming out soon. Eric Nicolai (EN): Scholar of The First Sin is set for launch April 7, 2015 on PS4 and X1. There have been announcements about the additional content. Talking about additional NPCs how many new ones and what purposes do some of them serve? 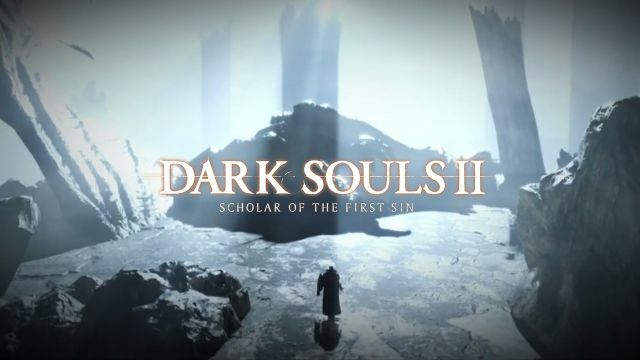 Brian Hong (BH): Yes, Dark Souls 2: Scholar of the First Sin will be available worldwide on April 7, 2015 on PlayStation 3, XBOX 360, PlayStation 4, XBOX ONE, and digitally on the STEAM platform. 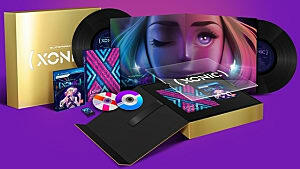 We’re quite excited for the fans to get their hands on this “Director’s Cut” version of the game. There is one additional NPC added to the game to enhance and deepen the storyline. 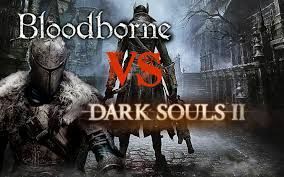 EN: The Souls series has been getting more and more attention as time passes. With this in mind, Hidetaka Miyazaki's new game Bloodborne comes out a few weeks before the launch SOTFS on PS4 and X1. 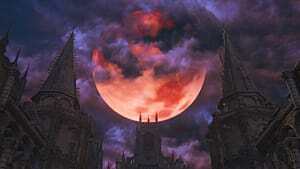 Do you feel the PS4 will see a lack of sales due to Bloodborne; Why or why not? Do you have any plans for the PS4 to combat the launch of Bloodborne? BH: We congratulate FromSoftware on their impending new release. To be honest, we’re just focused on our own release of Dark Souls 2: Scholar of the First Sin and are just happy for all the fans out there, because you can never have enough great games to play. 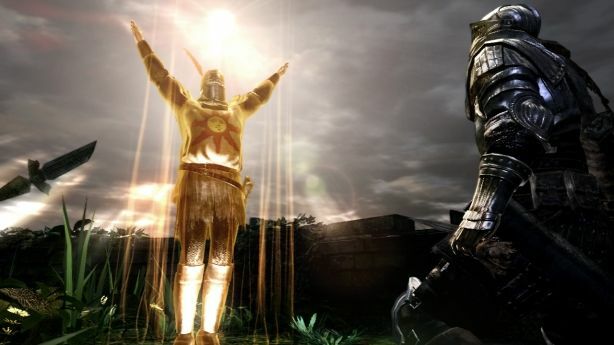 EN: With the launch of Scholar of the First Sin what will Dark Souls fans have to look forward to? 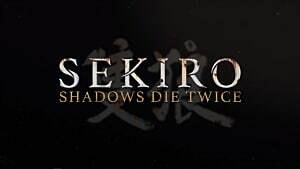 Will there be more DLC at some point for the second installment of the series or maybe a third game? All versions will contain the 3 previously released DLC packs - Crown of the Sunken King, Crown of the Old Iron King & Crown of the Ivory King. Also, the method in which several items are discovered, found, and collected has been adjusted so that they may appear in different places, be dropped more frequently or be obtained in ways not previously seen. The effects of several items & spells have been adjusted so they may be applied in different ways than before. Online Matching Functionality has been enhanced so that users can now use an Agape Ring to control how souls are collected, thereby offering a way for players to regulate their soul counts, which will make it easier for them to level match with their friends, who can likewise do the same. 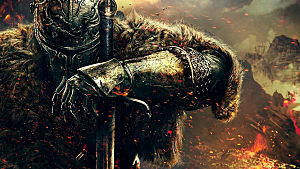 Specific to the PS4, X1 and STEAM x11 versions only, players will experience is a version of Dark Souls 2 that is different everywhere from before. 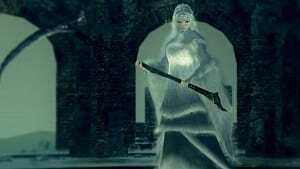 If a player has finished the first version of Dark Souls 2 and thinks SOTFS will be just DS2 + the 3 DLC contents, the player will be in for a big surprise. First, the leap from 30fps (PS3/XB360) to 60fps (PS4/X1) offers a level of smoothness in movement/scrolling and a dynamic contrast in visual fidelity that is so strikingly upgraded that players will instantly notice. Combat animations will feel incredibly fluid and lifelike, making for a more enhanced experience while maintaining the hallmark challenge fans have become addicted to. Enemy placement has been overhauled – resulting in a completely different play dynamic than experienced before. 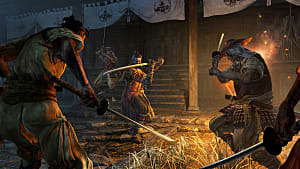 Thus some enemies will appear in places that they did not previously and in certain locations, more and different enemies will appear that were also not there in the first version of the game. Enemy AI has also been altered – so that certain enemies will now be able to do things that they could not do before. Which is also to say the game will be harder. Whereas previously a player could simply outrun some enemies until they gave up chase – that will not be the case now as they will not give up. The safe zones that some players remembered – are no longer safe. EN: Moving away from Dark Souls, what can you tell us about the upcoming game, Godzilla? I have watched some gameplay and see plenty Godzilla control will there be other character selection, if so who? If not has there been discussion of DLC for some other characters? 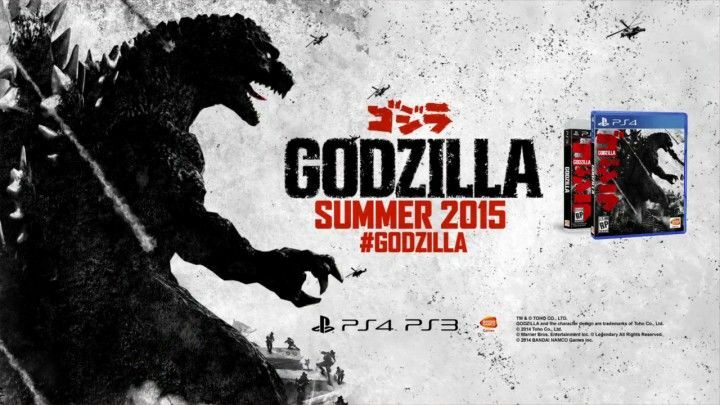 BH: Godzilla the game is slated for release in the summer of 2015. The PS3 (digital only) and PS4 entry, previously announced for release in Japan, is a lore-filled love letter to the King of Monsters' most passionate fans. Different versions of Godzilla will be unleashed throughout the 20-stage story mode. Versions of Hollywood, Heisei, and Fire Godzilla will all be on hand to terrorize various locations. 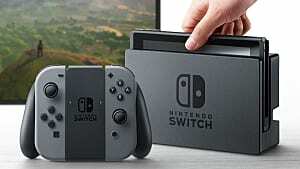 Fans will also be able to tweak the game’s camera to experience certain scenes the way they played out in their respective movies. A diorama mode will also let players position and photograph Godzilla in action. EN: I would like to ask a couple personal questions that seem to have just your opinion involved more than anything. What do you feel is the biggest title you have worked on and why do you feel it is? BH: Every title is different, with it’s own unique audience. To me, it’s important to get them excited for the game and tap into their motivations for wanting to play. 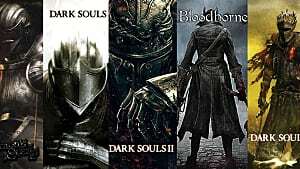 I’ve been fortunate to work on several titles, including Dark Souls, Tekken Tag Tournament 2, Naruto Ultimate Ninja Storm Generations, Dragon Ball Ultimate Tenkaichi, Dynasty Warriors Gundam 3, Power Rangers Samurai, Armored Core 5, Dark Souls 2, and most recently, the upcoming Godzilla and Project Cars games. EN: Moving away from games in general, but still keeping it relevant to the industry. Being in the position you are in I am sure you have met plenty of well known persons in the gaming industry. Who was your favorite or most interesting to meet and why? 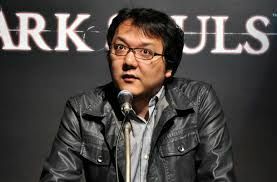 BH: I would have to say it’s Hidetaka Miyazaki. He really is a brilliant game designer and an incredibly humorous guy. He does not like the spotlight and really gives a lot of credit to his team members. Though he is very down to Earth and a surprisingly humble person, he is devilishly funny. 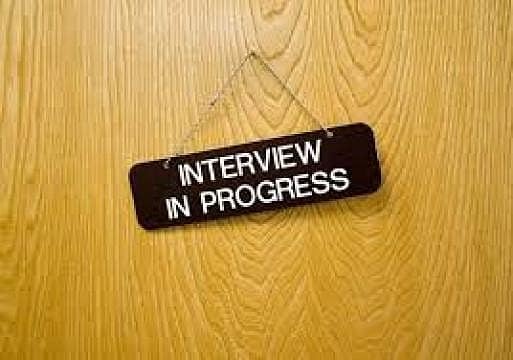 EN: Thanks again for your time Brian, is there anything else you would like to comment on or tell us about before we close the interview out. BH: No it’s just this for now. I’d be happy to interview for you again in the future Eric & I applaud your initiative to chase your dreams. I wish you luck and I’m confident that your passion will help you do great. As a huge Dark Souls fan this was an amazing opportunity that I feel blessed to have been able to have. I am excited to play Scholar of The First Sin on the PS4 as the FPS have been improved tremendously as can be seen in recent videos. Again Dark Souls 2: Scholar of The First Sin is due April 7, 2015 on next gen consoles.